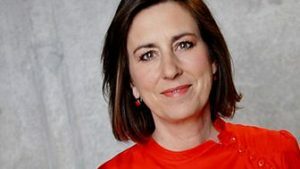 Newsnight presenter Kirsty Wark will chair a panel featuring the BBC’s new director of nations and regions and Channel 4’s head of factual for a debate on the future of broadcasting. The debate, taking place at the University of Salford’s MediaCityUK campus on Tuesday November 15th, will see Wark and a panel of leading media industry figures discussing a range of broadcasting and production issues affecting the nations and regions. The debate is being held ahead of the 23rd Nations and Regions Media Conference (NARM), which will take place in spring 2017 and will tackle some of the key issues that are vexing broadcasters and producers across the UK. Nations and Regions Media Conference 2017 is hosted by University of Salford and supported by newly appointed steering committee chair Ruth Pitt, and will take place at The Lowry arts centre in Salford on March 28-29.